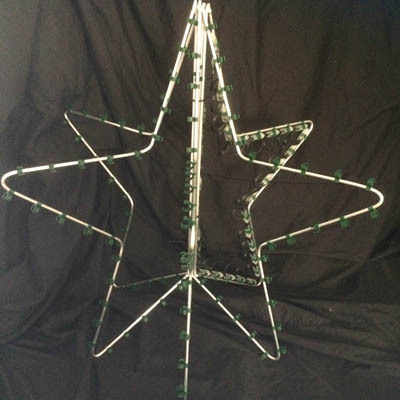 Made from aluminium, our lightweight Star Topper Silhouette is perfect for business or residential display, making it a great addition to any Christmas Layout. It has waterproof connectors at each end enabling you to connect to multiple light frames. Using our superior quality Colour-Mix LEDs our pre-lit light frames ensure the ultimate in quality, unlike Ropelight if an LED blows you can simply replace it with one of the spare LEDs that are included. Dimensions-650mm H x 650mm W.